I am a recovering campaign addict and currently doing a year of AmeriCorps service focusing community revitalization efforts in low income areas of Boston. My area of interest is how transit and urbanism intersect with advocacy and organizing. I stumbled into my love of all things transit on a trip to DC when I was 11 and then again in my early college years. I was amazed at how the subway shaped DC and its suburbs into a radically different city than my hometown of Oklahoma City. And through working with low income communities, I've come to understand just how important access to jobs, walkability, and green forms of transportation can be to raising a community out of poverty and poor health outcomes. Although I've only been in Boston a short time, I've already embraced a car free lifestyle. I know how vital the MBTA to lives of so many in the region and to the economy. I'm looking forward to working with the passionate transit advocates around the region to work to impose service and embolden the MBTA to pursue a grand vision. Let's make the county's first transit system first class together! I am a transit enthusiast who works as a lawyer in commercial real estate. I tend to think about transit issues from a politics and policy perspective. I have always been interested in smart infrastructure policy and after moving to Boston and becoming a daily T rider, I became fascinated with the complex problem of how effective transit can facilitate successful urban places and fuel our economy while being ignored by politicians and vilified by our fellow residents. I hope that Transit Matters can provide the general public with information to effectively advocate for a better transit system. I spend much of my free time keeping up with transit and urban development news, trends, and planning. Other times you can find me dragging along my family as to explore the many great neighborhoods, squares, and parks in and around Boston. When I travel, I am a nut for exploring other transit systems while learning about the local history. I have lived, worked, or played in 43 of the 50 United States. Also I love our National Parks! I’m a Metro Boston native who has been riding and always fascinated by the T/public transit since I was old enough to remember. With background in architecture & urban design, I approach transportation policy advocacy from a similar perspective of building interpersonal relationships and utilizing various visual communication strategies. On top of my AEC industry day job in the private sector, I’m a freelance graphic designer and have managed TransitMatters’ graphic design & communications outreach efforts since 2017. Distilling our often highly-technical information into visually pleasing, easily comprehensible graphics, documents and web pages has become a true passion of mine. As Communications Director, I also manage our outgoing communications strategy to the public and media. Feel free to use me as a point of contact if you’d like to reach out to us directly! While I’ve touched every one of our initiatives, I have been particularly passionate about NightBus as well as Regional Rail, having designed & coordinated a number of communications for both, including our groundbreaking Winter 2018 Regional Rail Report. As TransitMatters begins its next chapter, I have also been involved with coordinating our overall organization strategy as VP of Operations and assist our COO/DD in his efforts. I’m a Boston-based strategic consultant, passionate about Sustainable Mobility and the importance of bringing innovation to how we think about, fund and deploy our transportation system. I am also passionate about writing - I’ve written three books (working on a fourth), most recently The Vidal Lecture, and I am a regular contributor to Commonwealth Magazine. The pathway to my current advocacy began in a triple-decker in East Boston, where I could see first hand the many ways that bad and insensitive transportation planning can wreak havoc on a thriving neighborhood. That pathway led first to a career in the law, serving clients as both a public sector lawyer and a partner at the Boston law firms Hill & Barlow and Goulston & Storrs, where I built a highly regarded Public Law & Policy practice. Along the way, I found myself called upon to serve as a central figure in the establishment of Boston’s Metropolitan Highway System and the creation of the Rose Fitzgerald Kennedy Greenway Conservancy. I also served as a member of the Massachusetts Transportation Finance Commission. During my tenure as Massachusetts Secretary of Transportation in the Administration of Governor Deval Patrick, I led a landmark transportation restructuring initiative and made a strong effort to secure new revenue to fund our transportation needs. I adopted a policy protocol that explicitly tied transportation decisions and spending to (i) economic growth & development, (ii) regional equity, (iii) social justice, (iv) environmental sustainability, and (v) innovation. I also directed that the MBTA issue its data free of charge, thus enabling private sector entrepreneurs to develop a variety of web-based and mobile applications to help improve the daily commute. I understand how important the MBTA is to our Sustainable Mobility future. I’m committed to working with others to find common ground and effective solutions to the barriers that exist to having a 21st century public transportation system in place. I have seen first-rate transit systems in places like Bogota, Barcelona and Amsterdam, and our own Portland Oregon. There’s no reason why Greater Boston can’t join these places and offer its residents an egalitarian public transportation system that we all can be proud of. It just takes persistence, commitment, vision and leadership. I'm a software developer and open data enthusiast, and transit rider in Boston since 2011. I've been involved with various MBTA related data projects through Code for Boston's volunteer brigade. I feel that public transit offers one of the greatest opportunities for sustainable living. I'm a computer programmer and regular transit rider who believes in the power of good transit to open opportunities for all people. At various times I've been a regular rider of MBTA buses, each of the four subway lines, and Commuter Rail. As a board member of TransitMatters, I've written articles for Commonwealth Magazine about how Commuter Rail can become more effective for current and new riders. I believe that transit is one part of enjoyable, sustainable mobility, along with walking and bicycling. I believe that all those ways of getting around can enhance our lives, and that with hard work all of them can be greatly improved. I'm also the creator of mbtainfo.com, a transit tracking app. I am a strategist, an urbanist, and a maker. 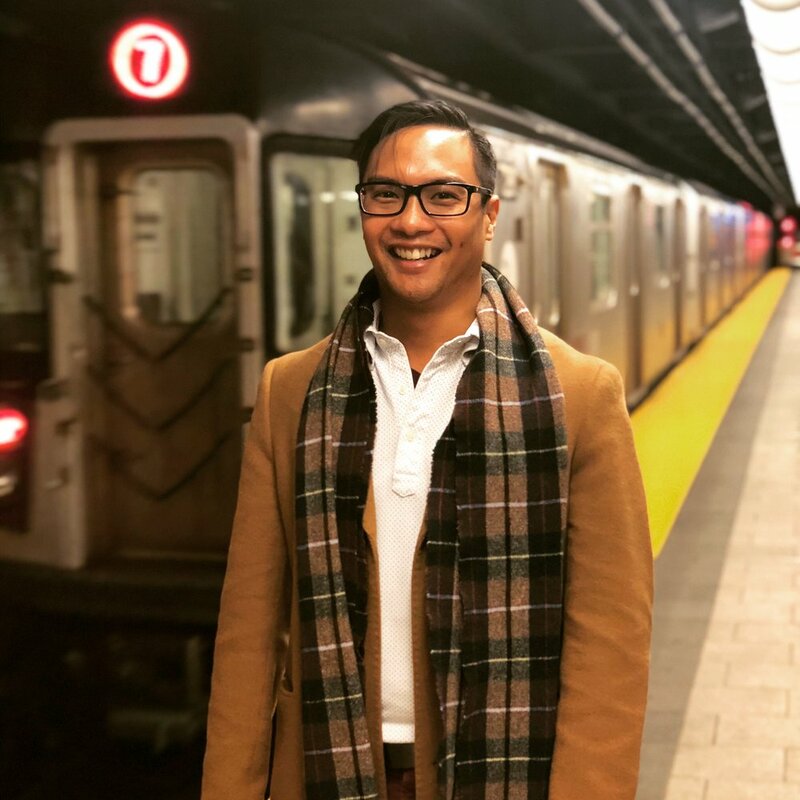 At TransitMatters, I bring my background in design, creative, and marketing management to strengthening the organization’s public programs and behind-the-scenes operations. I currently work in administration and research for a Boston public equity firm. My involvement with TransitMatters came about through my work in the urban design community in Boston. You can't be passionate about our city and its growth without realizing what a key part public transit plays in that equation. I'm also motivated to promote under-represented voices in the discussions that surround how we prioritize our public resources; as a TM board member, I can make sure that those voices are sought out and considered. Ask me about Regional Rail, a topic that holds special importance to me as a life-long "commuter" rail user. I’ve been interested in transit before I can remember, and when I began to ask questions about why the services I used weren’t as frequent or affordable as I’d like, I got pulled into transit advocacy. I’m a student majoring in Statistics and Computer Science, both of which connect to TransitMatters’ data-driven advocacy. I focus on Regional Rail and the FMCB, and I’m also involved in pro-housing groups around Boston. I am a runner, bicyclist, skier, podcaster and transit advocate and in my spare time, a graduate student in urban planning and transportation engineering at MIT. I spend my time on the streets of Boston and Cambridge, and trails of New England and further abroad. I've worked extensively with advocacy organizations in the region like TransitMatters and LivableStreets to bring change and equity to transportation and development projects, such as building support for a bus lane in Charlestown and a people-centered redevelopment in Allston. I am particularly interested in how small changes and data analysis can set the groundwork for long-term results, especially when it comes to strategically-implemented transit priority and transit operations, from bus and subway dispatching to Regional Rail. I live on a block between the 47 and 64 buses and would ride them more if they were both more frequent and less sardine-crowded at rush hour (which, it turns out, are related issues). I am an adoptive Bostonian with roots in rural West Virginia. I discovered a love of urbanism while studying international economic and political systems in Hong Kong and western Europe. I’m fascinated by the challenges to communities’ economic and social development. I’m passionate about organizing citizens to influence the physical spaces and economic systems that affect their lives. Directing events allows me to interact face-to-face with the people that are working every day to make our transit system better. I see realizing TransitMatters’ vision of sustainable, equitable, and reliable public transportation as the most crucial next step to improve the lives of Massachusetts residents. I'm the Leslie Knope of transit, geeking out over meeting transport 'celebrities' and getting knee-deep in leading our advocacy campaigns. I've always loved transportation, watching Thomas the Tank Engine as a child, living next to an LIRR branch line, and taking the New York City subway in and out of Manhattan with my parents nearly every weekday for the first few years of my life. I've lived deep in urbanity in Flushing, NY and first generation suburbia on Long Island. I've experienced 'advanced mutation' suburbia in Kissimmee, FL and dying, post-industrial small town America in my alma mater's host town of Troy, NY. I know what it's like to have mobility and what it's like to be a stranded suburban teen. Today, I depend on public transport to get to work, home, and all the things in between. I write from a deep appreciation for all modes (yes, including cars) and the big picture of how each fits into the puzzle of productive cities and enabling productive people. When I first moved to Boston, I experienced what it's like to be trapped underground for 45 minutes just outside Davis Square after one of the worst in-tunnel derailments the MBTA has seen on the Red Line in recent history. During those harrowing minutes with very few updates and even less detail about what was going on ahead, I tried to imagine the bigger picture to keep myself from smashing the emergency intercom button in the car. I found myself doing the very same thing on a commute weeks later as I discovered down-turned fliers advising about a Red Line bus substitution happening less than a week from the day they showed up. I haven't stopped trying to figure out that big picture. Now I strive to paint that big picture for others because it's this very painting that shows us the mistakes and lessons we - the public, the riders, the legislators, the operators, the citizens - must be full aware of before misguided decisions leave us trapped in perpetual traffic. I am a geographer, transit planner and longtime Boston transportation advocate. I have designed bus and rail networks for the MBTA and many other transit agencies, toured dozens of cities and towns to study their transportation networks, and written extensively about transit planning, street design, bicycle safety, social and environmental justice and equity. My work focused on effective service design, planning and pursuing the vision of TransitMatters. I also hosted the original Transit Matters Podcast. Over the past decade I lived almost everywhere in Boston, including Egleston Square (Jamaica Plain/Roxbury). I believe we can have affordable housing, vibrant neighborhoods and a top-notch transit system, if make make smart decisions.